Is Saudi Arabia and the Rest of OPEC Going Broke? Last November, as we were enjoying our Thanksgiving meal, Saudi Arabia and the rest of the OPEC oil ministers met in Vienna and decided not to cut oil production. The outcome of that decision had far reaching effects much more devastating then OPEC realized at the time. On that day, the Price of West Texas intermediate crude oil dropped $4.95 a barrel. The weekend after Thanksgiving, Saudi Arabia announced that OPEC’s intent was to drive down the price of oil specifically with the intent to put the frackers in United States out of business. If America were allowed to continue to expand its energy resources, it would become independent of OPEC oil and might begin to export oil and compete with OPEC for global market share. By driving down the price of crude oil, frackers couldn’t afford to stay in business. Once OPEC put them out of business, they could then diminish the energy supply and prices would then rise. I believe the oil ministers assumed the capitulation of American energy developers would be quick. Unfortunately for them, America did not capitulate and OPEC now finds itself on the verge of financial ruin. Somebody should have told OPEC the potential consequences of their assault on American energy production. Increased competition from the United States, which we will see shortly, could cause significant, financial difficulties for OPEC and Russia. 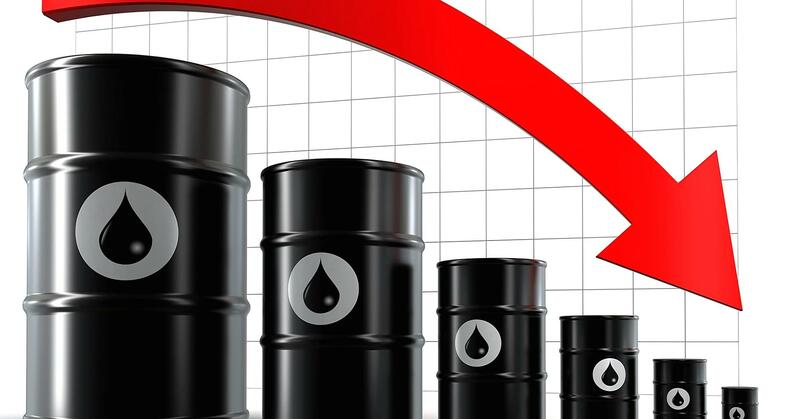 Russia built their budget for fiscal year 2015 based on the price of oil at $96 a barrel. Ekaterina Grushevenko, writing for the National Bureau of Asian Research in May of this year said, “that should oil prices stay in the $45-$55 range, the Russian economy could contract by 4 to 5 % and the deficit could be as high as 17% or $45 billion.” One could ask, was Mr. Putin’s involvement with Syria a way of gaining influence in the Middle Eastern oil markets? Only time will tell. Iran has very large oil reserves, but because of sanctions, Iran has been unable to enter the market. Controlling the flow of oil from Iran would help stabilize oil prices at current or higher levels– which will be good for the Russian economy and Mr. Putin. The international Monetary Fund (IMF) reported that Saudi Arabia has a revenue shortfall in the amount of 21% of their GDP. That means that the revenue generated through the sale of crude oil is not sufficient to run the government on a day-to-day basis. For the year 2015 and, possibly, five more years, IMF is suggesting that Saudi Arabia will be in this predicament– although diminishing, overtime. Saudi Arabia has a revenue shortfall of approximately $150 billion to bring their budget into balance. Other OPEC nations find themselves with greater problems. Libya, for example, has a 98% shortfall. Other OPEC members are flat, but will begin to fall into negative territory, starting next year, if oil prices stay around this level. The IMF estimates that Saudi Arabia needs a price of $100 a barrel revenue in order to balance its budget. So if the Saudi government doesn’t have the money, where are they getting it? Recently the Saudi government raised over $27 billion through the sale of bonds to provide operating cash/flow for the government. In addition, the Saudi government has taken over $70 billion out of the global equity and fixed income markets so far this year. Saudi Arabia has increased its oil output over 1 million barrels a day assuming they can put pump seven days a week 52 weeks a year and add an additional $18 billion in revenue. Yet the Saudis are still approximately $35 billion short which means they’re going to have to cut about 5% of the budget for the country. I am sure that the Saudi people will have some very specific things to say about a 5% budget cut. In the third book of my trilogy, The Brotherhood of the Red Nile, America Responds, I wrote that the time may come very soon where the OPEC nations are going to have to make decisions between the continuing funding of terrorist organizations or taking care of their own people. I believe that time is now. If our Congress passed the keystone pipeline and suspended the 40-year ban on the exportation of crude oil, America will have the opportunity to destroy OPEC. If America continues to convert its economy to a natural gas based fuel, then crude oil becomes a byproduct of the expiration for natural gas. Because it is a byproduct, we can sell it on the open market at any price we choose. The longer crude oil prices stay around these levels the pain, disruption, and unrest in OPEC will grow every day. I believe that OPEC nations, which have been a principle funding source for terrorists for many years, will be forced to make a decision between feeding their people and keeping their power , or sending money to fund terrorist organizations. I believe they will choose their people, and I also believe that terrorists will lose their will to fight on an empty stomach and without bullets for their guns. Dan Perkins is a contributor on current events to the Hill.com, the DailySurge.com, and ReaganBaby.com. He is the author of the trilogy, The Brotherhood of the Red Nile, covering Islamic nuclear terrorism against the United States.